The Codex Alimentarius Commission (an organization created by FAO and WHO to develop food standards and guidelines) has recently decided that animal manure should not be used to fertilise lettuce and other fresh vegetables that are sold as ready-to-eat foods and salads. Contaminated water also should be kept away from produce that is not heat-treated (in other words, not cooked). This is to prevent diseases. Great rule to follow for hygiene.But can this be applied in our country? 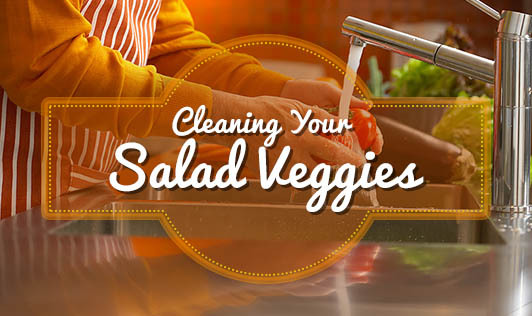 Meanwhile, it’s always good to clean your salad vegetables thoroughly before eating them raw. Cut the roots and other parts that are not required for your salad. If you have adequate running water, wash the whole vegetables under water. If there are crevices on the vegetable surface (like in carrot), use a small toothbrush to remove the dirt. Pat or shake them dry and then cut them for salads. Soak the leaves in a large vessel of water.Leave them for a minute or two.Remove the leaves, put in a strainer and wash them under running water.Shake off the water, by drying with a clean napkin. Chop and use for salad.